Texas Trampoline is now offering Texas Tough vinyl sleeves made from the same material as the safety pads (20 oz vinyl). These can be made to match your safety pads. 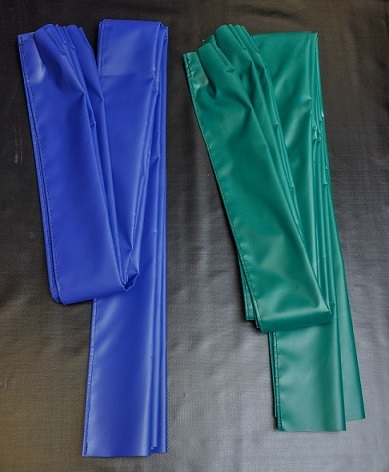 We offer red, royal blue, and kelly green. Includes 4 Vinyl Sleeves. Includes 4 Vinyl Sleeves. When completing your order please note under comments the color you would like or call us @ 800-700-5887.